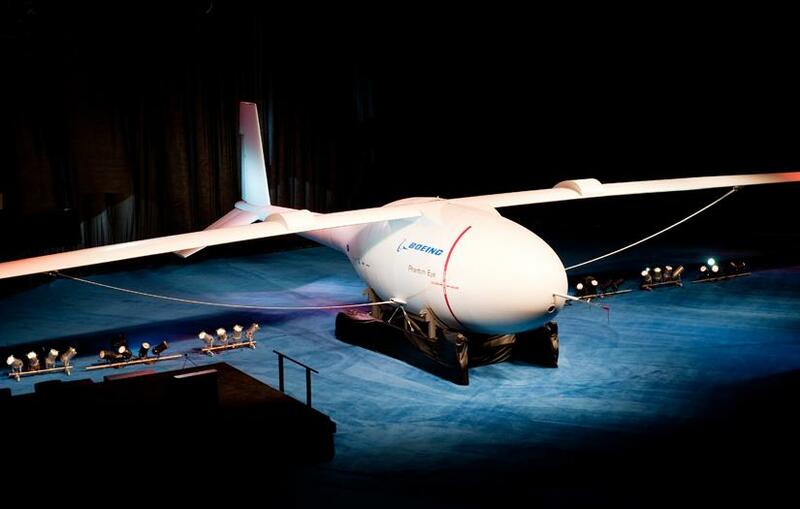 On July 12th Boeing unveiled a prototye for a hydrogen-fueled unmanned aerial vehicle called the Phantom Eye. The Phantom eye is designed to fly at extremely high altitudes for up to four days at a time. This is a lot more time than the current Spy Plane drones. The Phantom Eye is completey re-designed from ground up. It is powered by two 2.3-litre four-cylinder engines. Emphasis has been given greatly to its fuel efficiency which Boeing claims to be innovative. The aircraft was unveiled in St. Louis this Monday. Comes loaded with electronics and satellite communications and could provide 24/7 coverage of any area. The plane is yet to be tested and ground tests are scheduled to begin around this summer at NASA’s Dryden Flight Research Center at Edwards Air Force Base, California. The first flight is expected to last about eight hours and is targeted for early 2011. Phantom Eye is built to fly at around 65,000 feet which is twice the altitude of commerical jetliners for about 96 hours at a stretch. It can also carry heavy weights of about 450 pounds of payload and cruise at about 150 knots which is a 60 to 70 percent efficient than conventional unmanned aircrafts. Currently the US Air Force’s Global Hawk made by Northrop Grumman has had a record altitude and the longest flight that lasted just over 24 hours. Hopefully Phantom Eye will go way ahead than that. Toshiba introduces Libretto W100 – Video inside! Microsoft vs Java Trailer – Hilarious Video inside! Next Rumor? 4GB Xbox 360 Slim Arcade to be released in August!